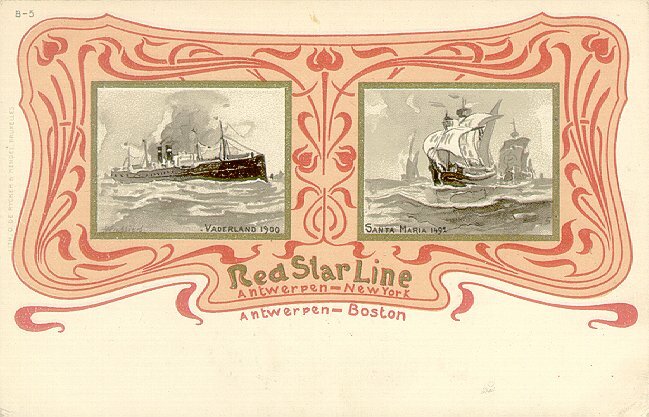 Vaderland, sister of Zeeland, was built by John Brown & Co., Glasgow, for the Red Star Line (International Navigation Co.). 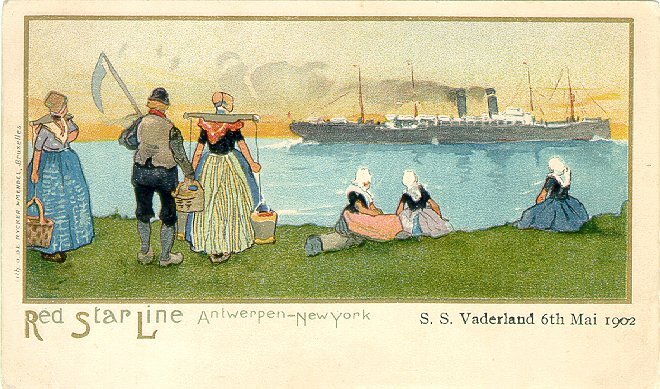 Launched in 1900, she made her maiden voyage from Antwerp to New York on 8 December of the same year. 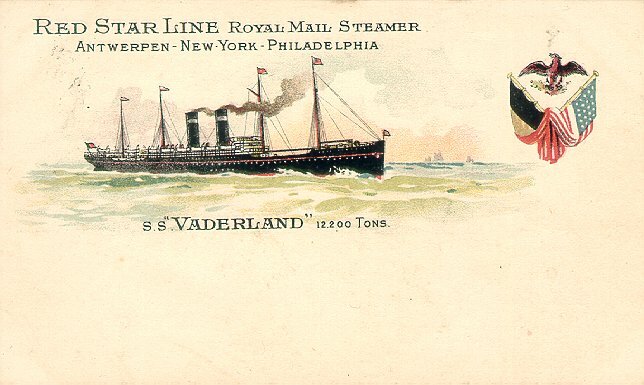 At sea when World War I began, Vaderland arrived at New York several days later and was immediately placed in White Star's service, making her return trip to Southampton on 3 September 1914. 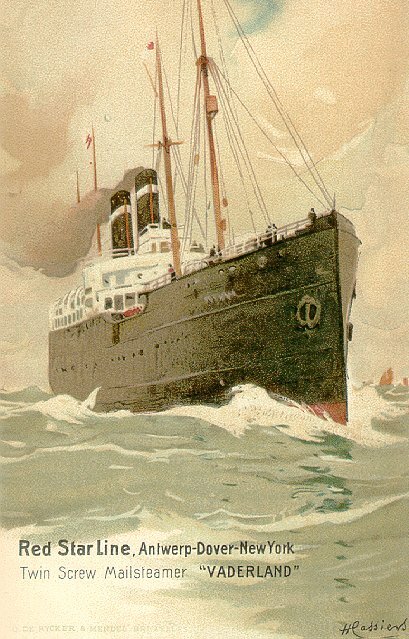 After several months on White Star's Liverpool-New York service and the White Star-Dominion Canadian service, she was renamed Southland and taken over as a troopship in early 1915. 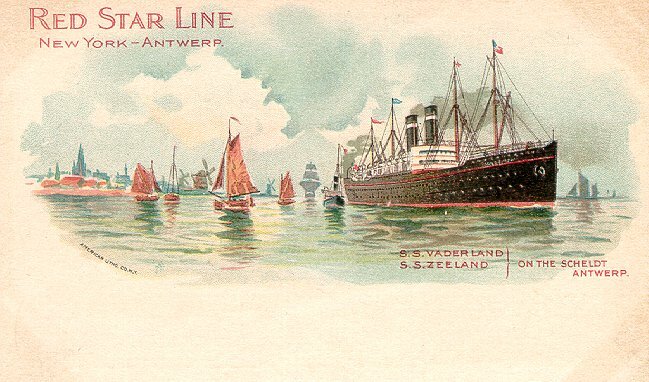 (Although her original name was Dutch, not German, it was believed that Vaderland was too Germanic-sounding a name for a British ship.) In September she was torpedoed in the Aegean Sea, but survived and returned to service. 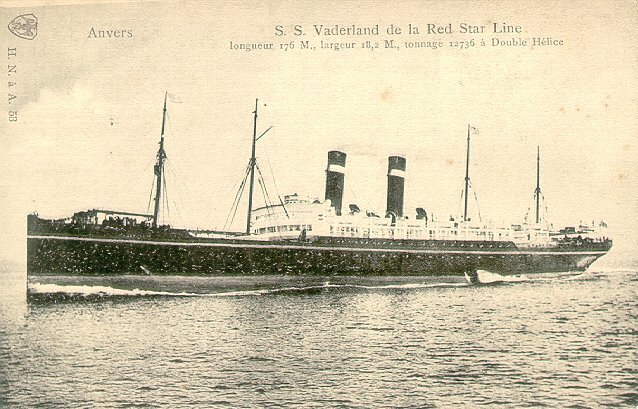 In August 1916, Southland was returned to White Star and was again placed on the Dominion joint service from Liverpool to Canada, carrying troops eastbound and passengers westbound. However, on 4 June 1917, while en route from Liverpool to Philadelphia, she was torpedoed twice by U70 and sank off the coast of Ireland. There were four fatalities, all members of the crew. Sources: Haws' Merchant Fleets; Bonsor's North Atlantic Seaway; Williams' Wartime Disasters at Sea.